“He is a scumbag. That’s all there is to it,” Putin added. Britain has accused Russia of poisoning Skripal and his daughter Yulia, who have recovered following weeks of hospitalization after they were found incoherent on a bench in the English city of Salisbury on March 4, with a nerve agent called Novichok. A British woman and her partner also fell ill after coming in contact with the poison later in a town near Salisbury. The woman, Dawn Sturgess, died in July. 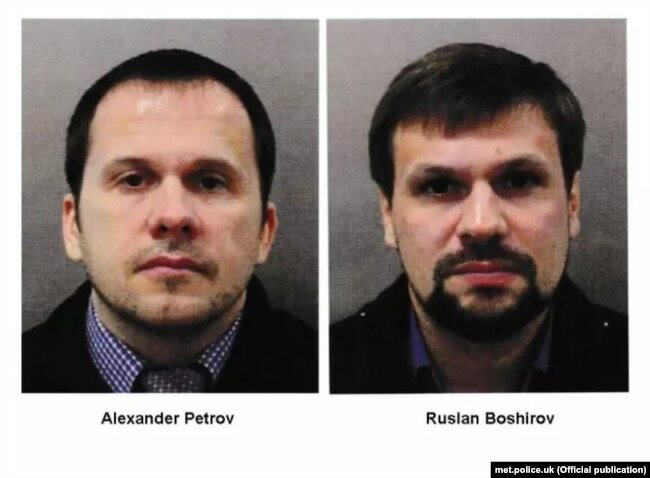 Britain identified two Russian suspects in connection with Salisbury attack, Aleksandr Petrov (left) and Ruslan Boshirov, but say the names may be aliases. British authorities have laid attempted murder and other charges in absentia against two alleged Russian military intelligence officers they say carried out the attack. Russia denies involvement despite mounting evidence, and the dispute has led to an exchange of diplomatic expulsions and deepened already severe tension between Moscow and the West. Putin said that what he called “an entire information campaign that has been rolled out” over the Skripal poisoning will eventually pass. “I hope it ends — and the sooner it ends, the better,” Putin said, adding that international espionage will continue. “What, were battles between special services born yesterday? Everybody knows that espionage, like prostitution, is one of the most important professions in the world,” said Putin, a longtime Soviet KGB officer who had a stint as head of the Russian Federal Security Service (FSB) before his rise to the presidency. 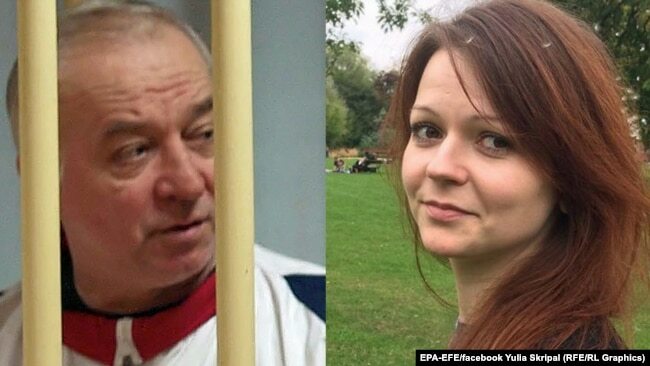 He also claimed that Skripal, 67, had continued spying after he was released from prison in Russia and sent West in a Cold War-style swap in 2010. Skripal, a former colonel in Russia’s military intelligence agency known as the GRU, was convicted of treason in 2006 by a Russian court after being accused of spying for Britain. Putin also repeated Russian calls for U.S. forces to leave Syria when the extremist group Islamic State (IS) is defeated there, saying that when that happens “there will be no explanation” for a foreign military presence in the war-ravaged country. Asked whether Russian forces should also eventually leave, he said that they should if the Syrian government calls for them to do so. Russia has given President Bashar al-Assad’s government crucial support in the more than seven-year war in Syria and says that while U.S. and Turkish forces have not been invited in by the government, the Russian military has. Putin expressed hope for an improvement in Russia’s badly strained relations with the United States but as in the past suggested that the fault lies with Washington — something U.S. officials dispute, saying aggressive actions by Moscow have harmed ties.